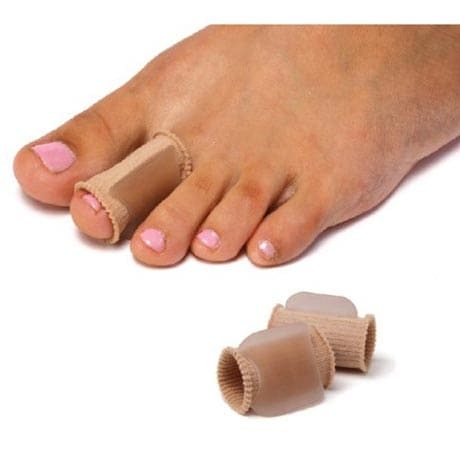 Soft fabric sleeve slides onto toe, absorbing friction and pressure. Gel slowly releases medical-grade mineral oil, softening skin. 85% Nylon, 15% Spandex. Wash and reuse. Specify size: MD(regular toes) or LG(big toes).